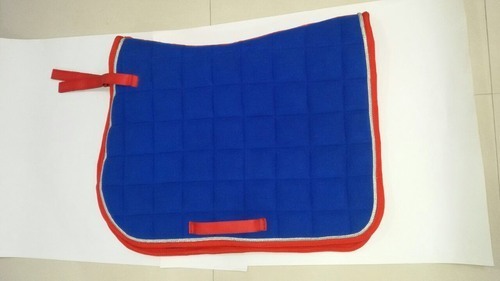 We are offering high quality Saddle Pad Polar Fleece Cloth with Cord. We, "Taiba Tanners", commenced our journey in 2002, as manufacturer, exporter and supplier of high quality Finished Leather, Leather Shoes, Shoe uppers & Equestrian Products. Our primary focus has been to provide excellent quality products that are in compliance with international standards. We are a team of highly qualified, experienced and enthusiastic professionals, who strive hard to achieve perfection. Our range of Finished Leather (Genuine leather) is comprehensive and we have a very high production capacity. We make our Finished Leather available in a wide variety of finishes at economical prices. They are used in a multitude of industries and are regarded for their durability. Our other offerings comprise of Leather Shoes, Shoe Uppers & Horse Riding Equipments that are created using authentic Leather and are designed with utmost precision. We make them available in a wide variety of finishes and designs, so as to make them appealing to a large number of customers. We export our products in All over Europe, Australia, UK, USA, Canada, Malaysia, Middle East, Hong Kong, South Africa and many more countries. Our products have been created using high tech machinery and standardized production procedures so as to obtain the desired standard quality.